Here's a great idea that shows just the kind of thing that robotic technology is great for. Bug abatement. 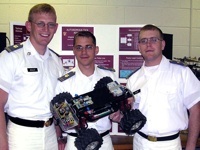 A team of undergrad engineering students have developed a system that utilizes a robot that follows a perforated tube around the perimeter of a yard. The tube emits carbon dioxide(CO2) to attract ticks. The robot drags a "skirt" of pesticide impregnated denim material(a natural attraction for ticks) that collects and kills the ticks. The primary advantage here is fewer chemical pesticides sprayed in the environment. Chemicals used for tick abatement require people to stay out of the area for two days following application. Above all the abatement of ticks is important to avoid the spread of Lyme disease. While this system might be expensive for just tick abatement if it were combined other robotic functions like lawn maintenance functions like edging and trimming or additional bug abatement systems for mosquitos, bees, flies ants. etc. then you'd really have a great new yard care robot. 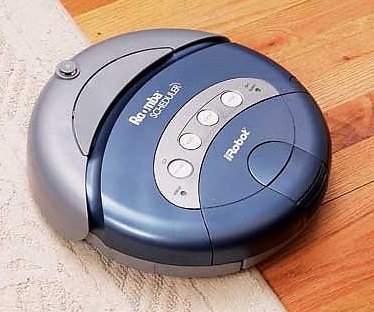 As I was moving my Glade Wisp automatic air freshener from one room to another today it occurred to me that a great Roomba hack would be to simply place this puffing air freshener on top of a Roomba while it moves around a space. This would be a great way to distribute air freshener all around a space. 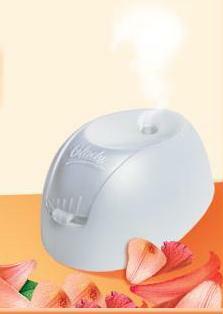 The Glade Wisp releases a puff of air freshener every 9 to 36 seconds. Perhaps this is a new feature waiting to be designed into the successful robotic vacuum line from iRobot. Mobile air cleaning would be an excellent option for the domestic robot platform. This would be especially useful as the Roomba moves into corners and under furniture. It would also be a feature that may increase appeal of the high geek factor robot among women. Boing Boing just posted a link to this Saturday Night Live commercial parody. 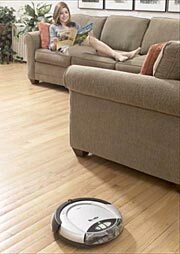 It's laugh out load funny for anyone who loves Roomba or robots in general. Boarderline NSFW. Doesn't have the same impact without the sound. 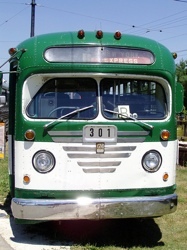 The Times Online of London reports a plan to develop robotic driver-less busses to serve urban areas. The vehicles would be summoned by mobile phone to the location of the passenger and then travel directly to the desired destination. The vehicles would follow magnetic markers in the roadway and feature collision avoidance systems. Trial vehicles are scheduled to be ready in 2007 and a trial system is proposed for the Olympics in 2012. The challenge facing any type of robotic vehicle that navigates without human input is social acceptance. Robotic cars, trucks , trains and even airplanes are proposed for the near future. Many of these systems are already highly automated. Many airplane passengers don't realize the extent that autopilots actually fly the plane. Some robotic systems are already in use. Airport people mover systems represent the state of robotic trains. The sonic detection system on the back bumper of your luxury car represents the future of ground vehicle accident avoidance systems. The technology is not the problem. The hinderance of robotic transport systems are social and psychological. People will be less tolerant of any system failures and accidents even if those rates match those of human driven vehicles. Think about train accidents. How many derailments and collisions are avoided by human engineers? Many accidents happen regardless of the presence of a human operator. Granted we don't hear about accidents that don't happen but we're talking public perceptions here. Any failure in the system will be used against it by those that fear the technology or oppose the shifting employment that the robotic revolution represents. Bus drivers, train engineers, cab drivers, airplane pilots, truck drivers and many others are going to be "buggy whipped" in the next 100 years. Their jobs will change or disappear entirely. This is the expected course of advancement. Some of these jobs didn't exist 100 years ago and others are significantly different. The key understanding that needs to be well communicated and marketed effectively by those interested in the development of robotic transport systems is the creation of the software and control systems. Computers are growing in power everyday. Soon we are at the point where the entire knowledge and experience of 100 top pilots can be programmed into a computer/robotic system. Everything an experienced human pilot knows and feels can be multiplied by 100 or 1000 and applied at lightening speed to any situation that arises in flight. Human pilots can only monitor a limited set of data points. Many of them are internal to their own body. Human pilots are susceptible to sickness. Computers and robotic systems can monitor and respond to far more data points and can easily be backed up and supported by redundant systems. The American Space Shuttle is flown by a computer that has two back up computers. Here's a product making the blog rounds today. 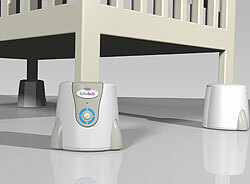 Just as the trend of LED powered "light-up furniture" is gathering steam we now see the first edge of a new trend of robotics enhanced furniture .These robotic devices for rocking a crib are not yet available from their Australian maker but I suspect we'll quickly see an American company pick these up. 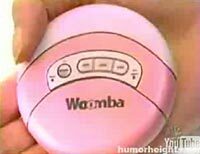 I would suggest that these be integrated into a baby monitor system to give tired parents the ability to activate the rocking system through the baby monitor when they hear their child crying or stirring. A new hi in remote control parenting. W00t W00t! Parking is becoming an issue in Dubai as density levels increase. This is not unlike Europe and increasingly the United States. People are comfortable doing their banking by machine why not park their cars by machine. Robotic parking systems are under development in many places these days. The systems make a lot of sense as they save huge amounts of space vs. conventional parking garages. I'd look to car rental companies to be the first to develop around these systems because they can add systems to the vehicles themselves(i.e. GPS, Echo detection/location, etc.) that will assist the automated parking systems.